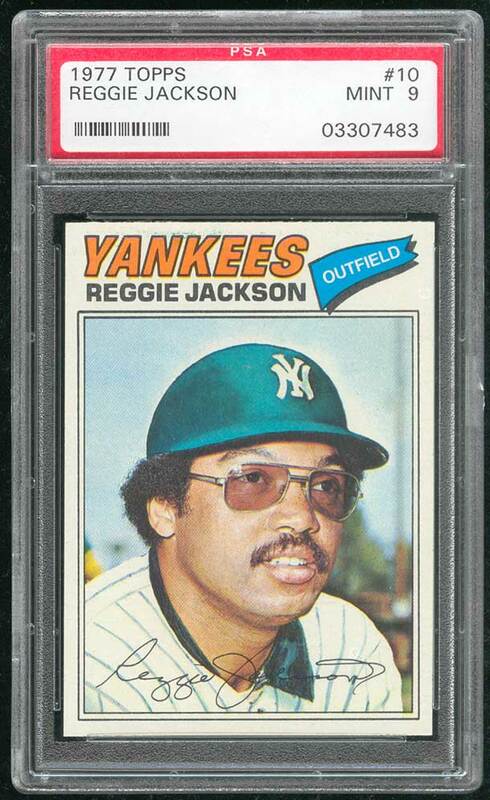 "The Straw that Stirs the Drink," Reggie Jackson was a publicity hog, a prolific slugger, a superior outfielder, and most of all, a big winner. He played on 11 division winners and five World Champions. 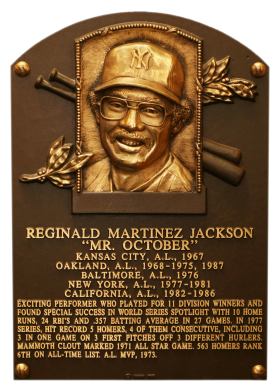 "Mr. October's" finest moment came in game six of the 1977 Series, when he smacked three homers, each on the first pitch of the at bat. 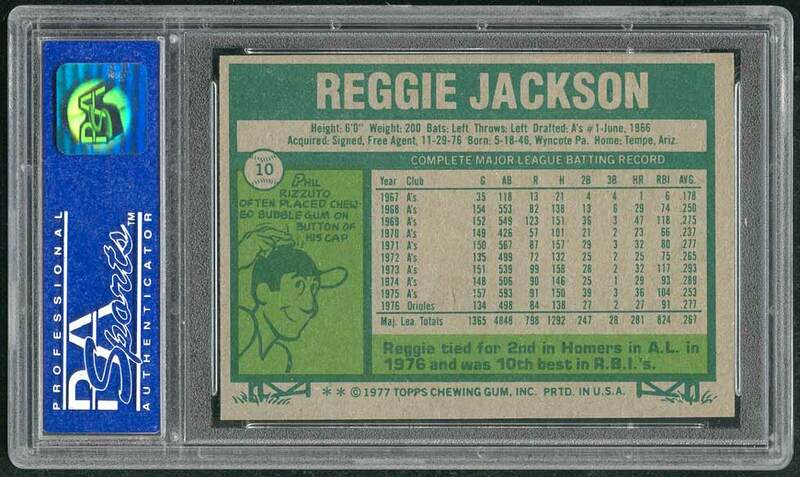 The four-time home run king had 563 homers and 1,702 RBI, but he also compiled a lot of Ks (2,597). 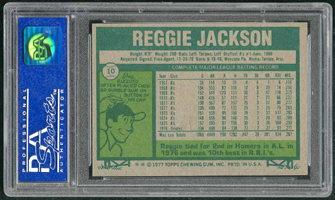 Comments: Good ole eBay supplied me with this PSA 9 1977 Topps card in November, 1999. It's an astounding card of Hall-of-Famer "Mr. October" Reggie Jackson. MINT, MINT, MINT! At the time I paid $66 but it could be had for a little less today. Several PSA 10 examples have appeared in auctions and eBay since selling for $450 to $1200. The price difference doesn't justify upgrading - I'm happy with my certified PSA 9 copy.